The room runs from 6pm - 11pm every Wednesday and Friday night. 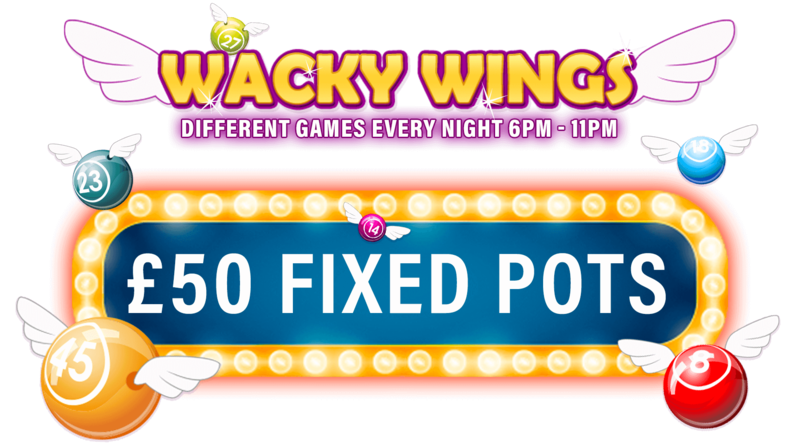 £50 prize pots every game in Wacky Wings - all night. And tickets are only 10p - Amazing!